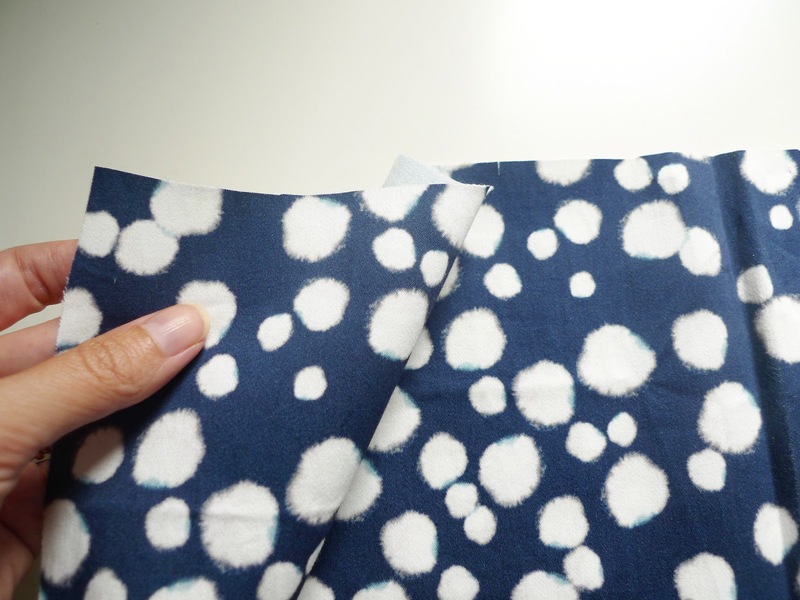 Hello Day 3 of the Basel Dress Tutorial! Today the skirt is going to take shape. Click here to catch up on Days 1 and 2. 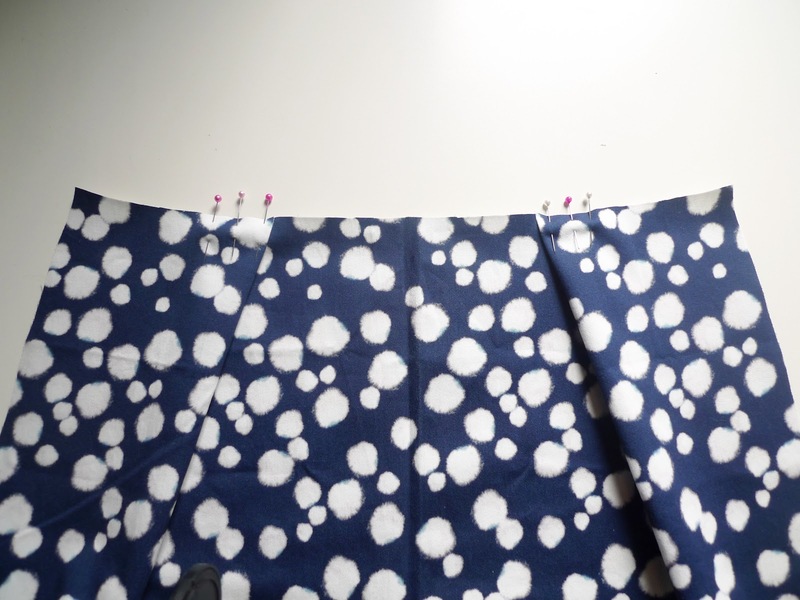 There are two ways to finish the skirt, depending on whether or not you are lining it. 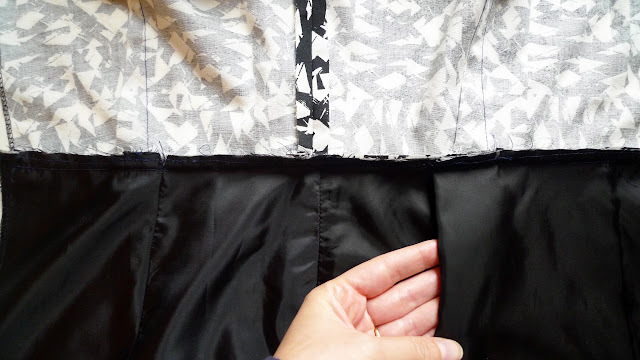 If you are lining the skirt, you will want to do this in a slightly different order. Skip to "Process with lining", near the end of this post, to see the breakdown of this method. For an unlined skirt, we start with the skirt folds. the inner notch point, right sides together, as below. 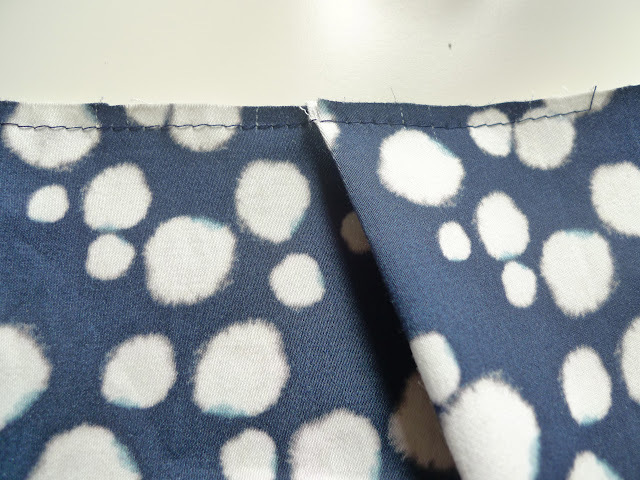 Sew a row of stitches within the 1cm seam allowance to secure the pleats. Stitch the back dart of the skirt and press to the centre back. 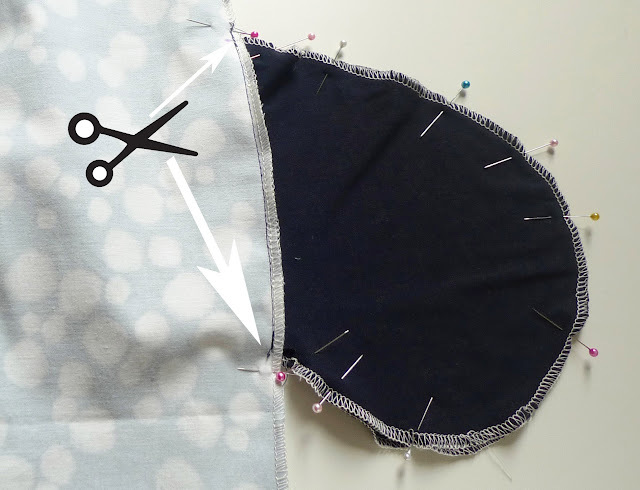 Finish the vertical seams of the skirt, on both the front and the back, using either a zig zag stitch or overlocker / serger if you have one. 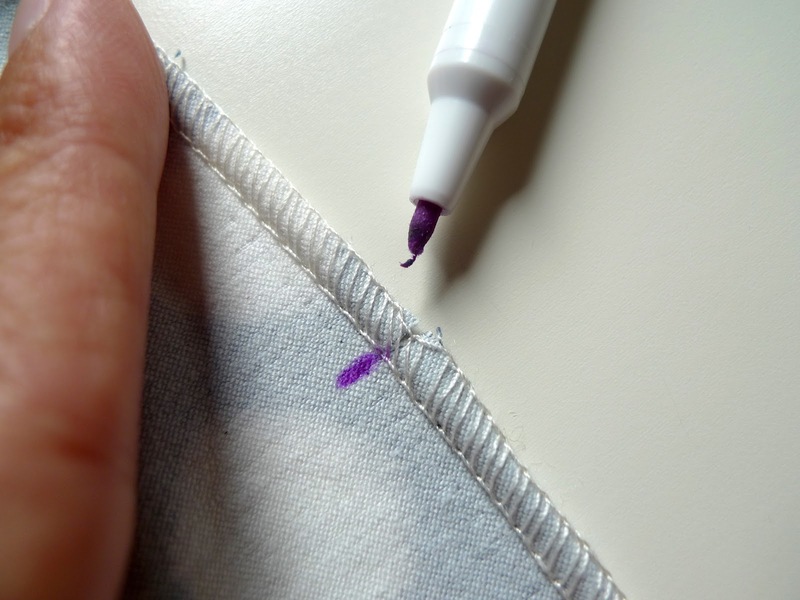 Also finish all raw edges of the pockets. 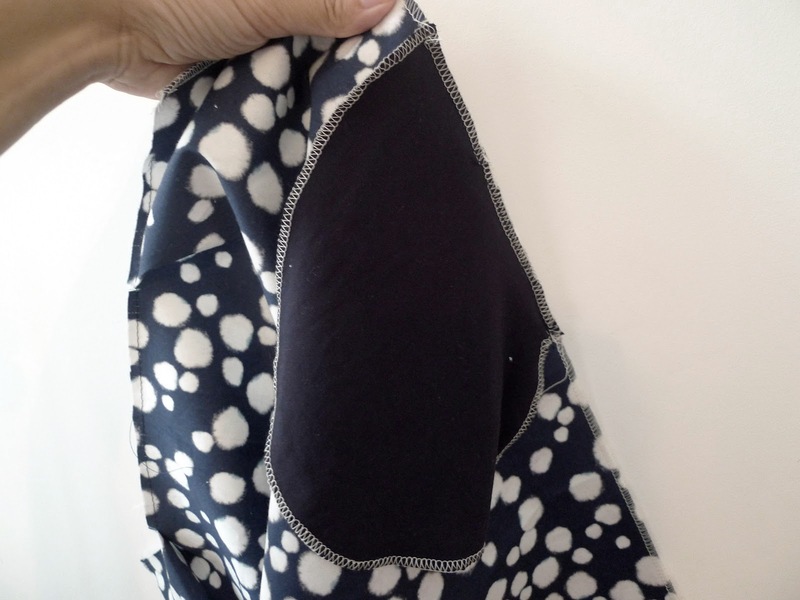 You may need to re-define the notch points for the pockets. on the skirt front and skirt back. Stitch in place, within the seam allowance. 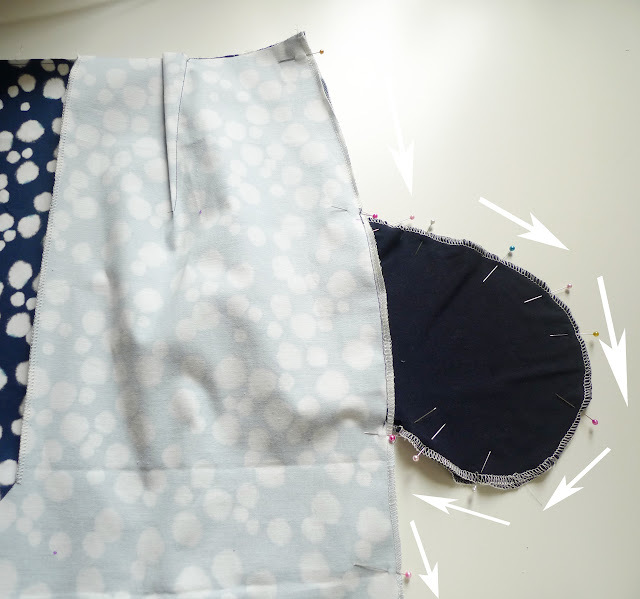 Stitch down the side seams of the skirt, with front and back right sides together. Pivot at the top and bottom of the pockets. Clip into the seam allowance at the top and bottom of the pockets, to but not through the pivot point. 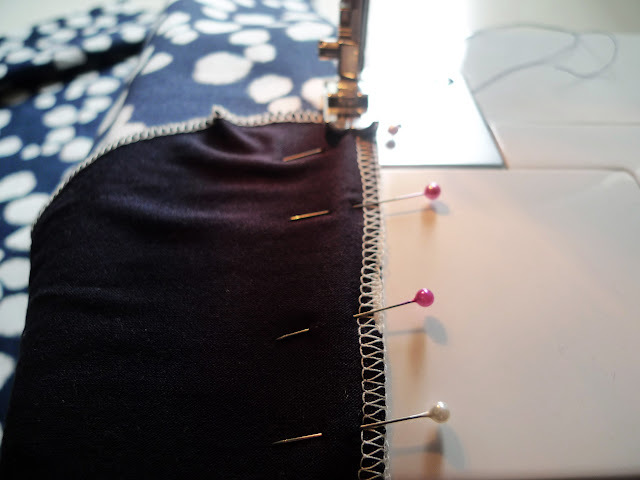 - Finally, add the waist darts as above. 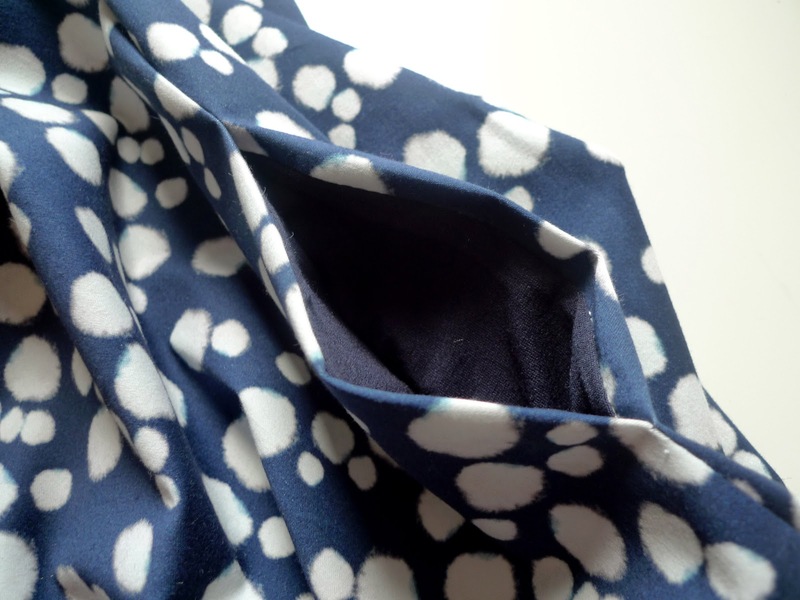 It will look like this (here already attached to the bodice - tomorrow's task). Getting closer now, tomorrow the full dress takes shape!